Cas, of course, can’t go with them because Michael would easily sense his presence. He’s going to stay behind and babysit Nick and Jack. Cas proves to be the worst babysitter in the world as both end up going awol. Jack is somewhat surprisingly ok with being benched. But we shouldn’t be surprised because he’s a really smart kid – and knows he needs to improve before going back in the field. Meanwhile in Duluth, it was terrific to see Mary and Bobby get their FBI-on – even if Bobby’s was a little rusty! They examine the corpses and quickly discover that they are all vampires. The Coroner (Patricia Drake) tells them that a young woman – Lydia (Meganne Young) came to see the bodies but disappeared – but it’s a lead for them to follow. 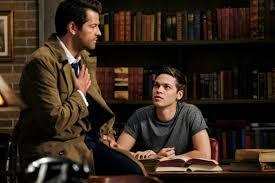 Cas finds Jack researching to try to figure out when he’ll get his grace back – it could be a month or a century! Cas tells him that mourning what you’ve lost is wasteful. Jack insists that Cas doesn’t know what he’s going through – oh, the typical teenager! – but Cas sets him straight. 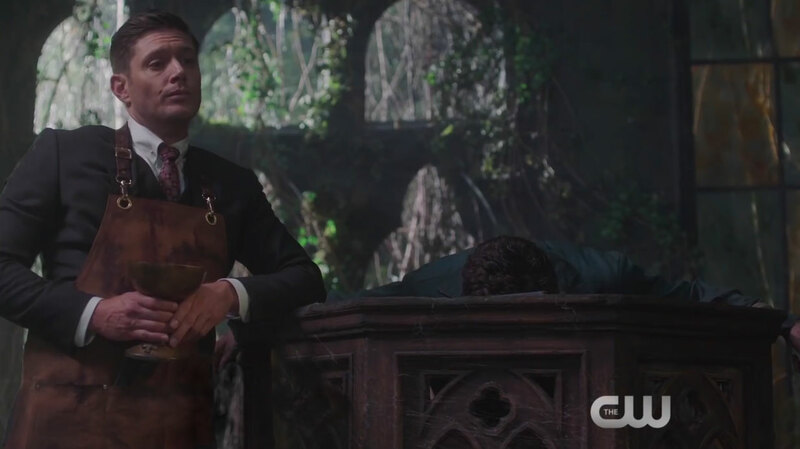 Of course Cas has also lost his grace and had to live as a human. He tells Jack that he had Sam and Dean to help him get through it – but he also had himself, just without all the bells and whistles. He tells Jack that Dean and Sam had years to learn their craft and that with patience and persistence, Jack can learn too. I thought this was a terrific scene for Collins. He tells Jack that his past is not as important as his future and where he’s going – but Jack still has questions about his past too. We finally check in on Michael again, and he’s dressed for an evening out – it’s been several seasons since we’ve seen Ackles in a tux – possibly since “Red Sky at Morning” in season three? – and he never fails to disappoint. We see Dean briefly manage to break free, and Michael easily pushes him back down. 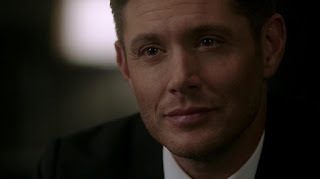 This was a good scene from Ackles, but for me the really high water mark here is “Dream a Little Dream of Me” (also from season 3!) when we see Demon-Dean confront Dean in a mirror. Back at the bunker, Nick has discovered that the case about the murder of his wife and son was never solved. He’s really agitated and determined to solve it. 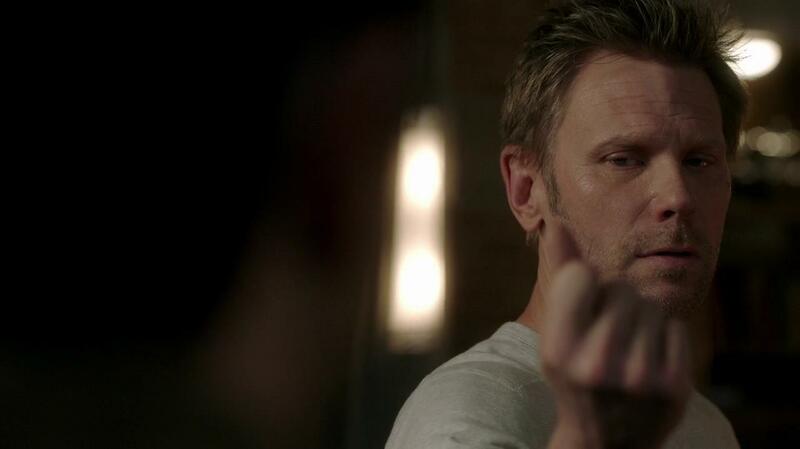 I loved when he loses his temper at Cas and snaps his fingers at him a la Lucifer. Cas is shocked and wants to know why he did it. 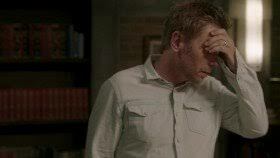 Suddenly, he’s worried that some part of Lucifer might still be in Nick – maybe just some influence – but he can’t detect any sign of him. 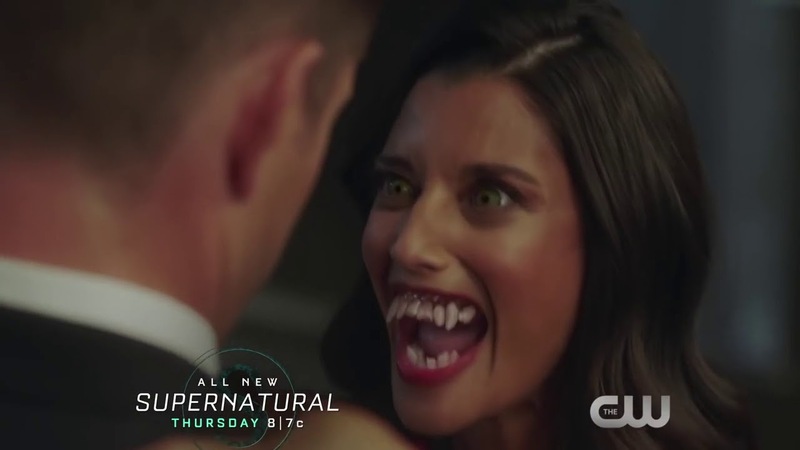 Cas muses that Lucifer may have simply permanently damaged Nick’s psyche in some way. 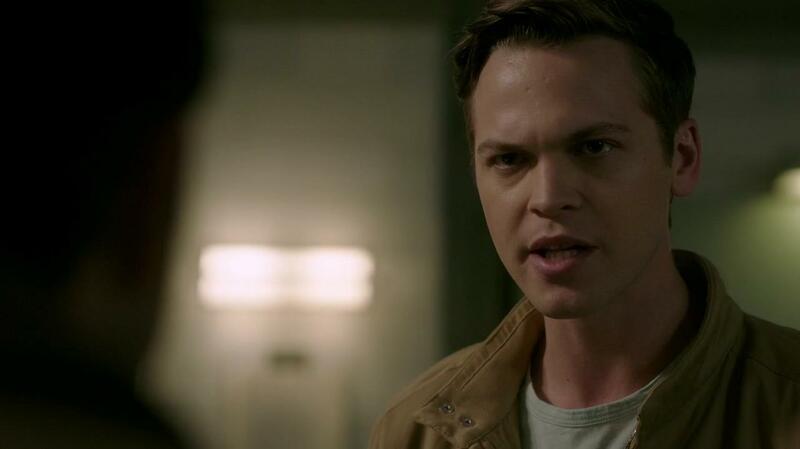 Nick is determined to find out who killed his family, but Cas asks what then – and Nick doesn’t answer. Nick continues on his quest and even tracks down the detective in charge of the case on the phone. He discovers that it’s now a “cold case” and nobody cares. There had been a witness, but he recanted. Cas tries to be sympathetic and tells Nick that it must be very difficult – but he points out that Nick has been given a second chance. Nick didn’t die. I did really like how this scene also showcased how Cas really does have insight into what Nick is going through. 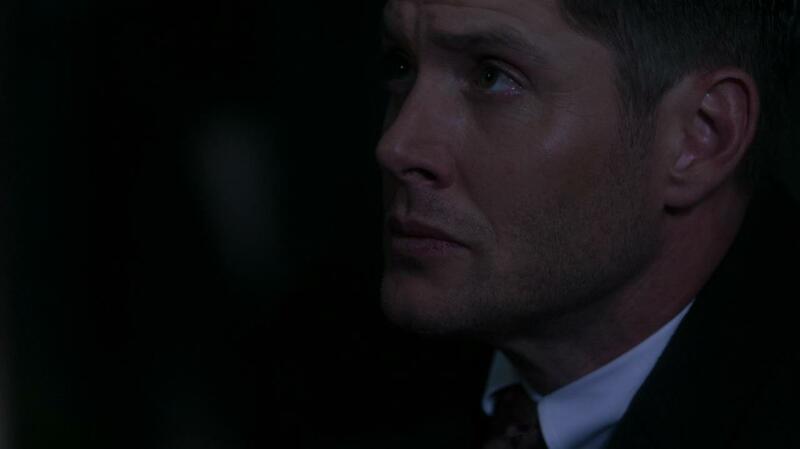 Nick assumes that Cas had his body occupied, but Cas tells him that he’s occupying Jimmy Novack’s body. He tries to explain that Jimmy was ok with it – but that he died. Nick immediately accuses Cas of being a stone-cold body snatcher, no different than Lucifer. And Collins is fantastic here as he admits that in all his thousands of years, what happened to Jimmy and his family is his biggest regret. It’s a scene many fans have wanted to see for a very long time and Collins really does it justice. 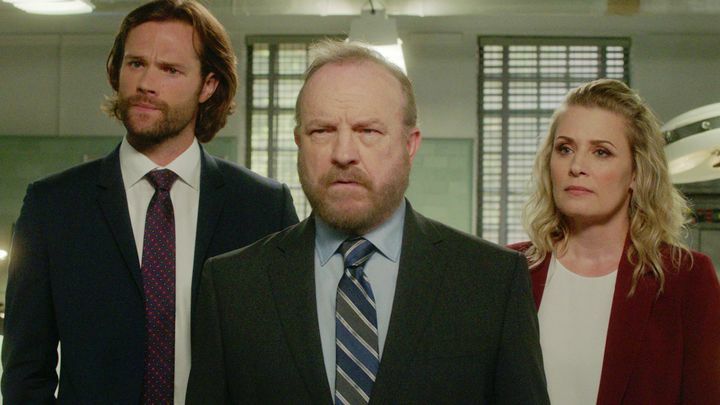 Sam, Bobby, and Mary track down Lydia. She knows they’re hunters and tells her that her nest had lived quietly on animal blood, staying below the hunter radar. Then Michael came and began torturing them. She tells them that the others attacked Michael and she managed to get away. She tells them he was experimenting on them – but doesn’t know why. She keeps Bobby from taking her head off by telling them she knows where they can find Michael. In another of the best scenes of the episode, Jack (who has apparently left the bunker without Cas even noticing) arrives on his mother’s parents’ front doorstep! I loved how Jack gets around how he knew Kelly – she gave him his start! Sadly, they don’t even realize that she’s dead – they think she’s just traveling for work. We find out that Jack is named after Kelly’s father (Fred Keating). They did know that she was pregnant. He’s able to tell her that she had a son and was a wonderful mother. Kelly’s Mom (Chilton Crane) even thinks that Jack looks a bit like Kelly. This clues Jack in that he’s maybe getting too close to the truth, so he tells them that he hopes that one day he’s able to have a little of her courage and purpose. Dad tells him to tell Kelly that they miss her if he sees Kelly, and Jack tells them that he misses her too. Calvert is terrific in this scene. When Jack arrives home, Cas is angry that he took such a risk and that the possibility of capture – by so many of their enemies! – is real. Jack tells Cas that of course he didn’t tell them who he really is. Cas finally softens and agrees that Jack does look like Kelly. Jack tells Cas that her parents loved Kelly so much, he just couldn’t tell them that she was dead. Cas tells Jack that he did what he did out of kindness. Jack is still fixated on what’s happening with Michael – and getting revenge on Michael. I thought this was really another terrific scene as Jack insists that Dean doesn’t matter – Michael has to be stopped at any cost – even the cost of Dean’s life. 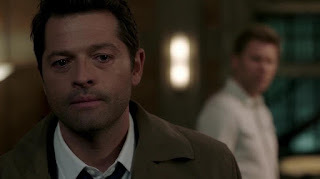 Cas is shocked and angry, but Jack is 100% right when he insists that Dean would agree that his life would be worth stopping Michael. Dean would never want them to forego stopping Michael only to save his life. Dean really wouldn’t want it any other way. Nick ends the episode by killing Arty with a hammer – the same way that Sarah and Teddy were killed! So, is he exacting justice for how they were killed or did Nick actually kill them himself? Was Arty pleading he didn’t know anything because he knows that Nick did it and wanted to reassure him that he wouldn’t tell on him? 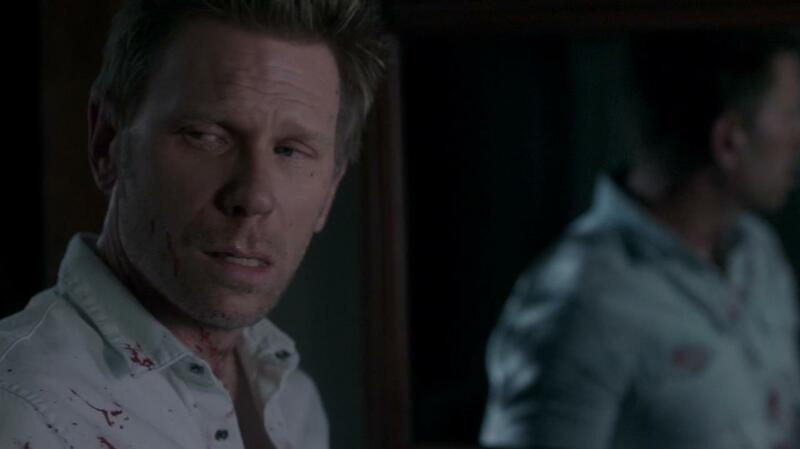 Did Lucifer take Nick because Nick was already a killer and a psycho? That seems like a real retcon…. So I’ll be really interested to see how this plays out. Meanwhile, Michael has gone to Lydia and told her that she was simply bait for a trap and now that it’s sprung, he no longer needs her and kills her. Instead of being attacked by vampires at the old church, Sam, Bobby, and Mary are attacked up super-werewolves who seem to only be stopped by be-heading. 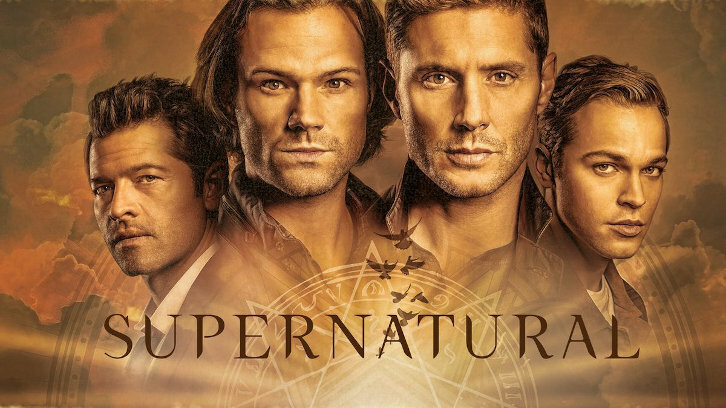 Suddenly, after the werewolves are defeated, Michael is there – but it’s not Michael, it’s Dean! He tells them that Michael just suddenly left his body and he doesn’t know why. Is this another trap? Is Michael really gone? Once Dean has said yes, is that an open invitation? Past experience would suggest not, but who knows? What did you think of the episode? Let me know in the comments below!